The last month has seen the release of multiple heartbreaking videos regarding Planned Parenthood and abortion. How did the country get to this point from a legal standpoint? 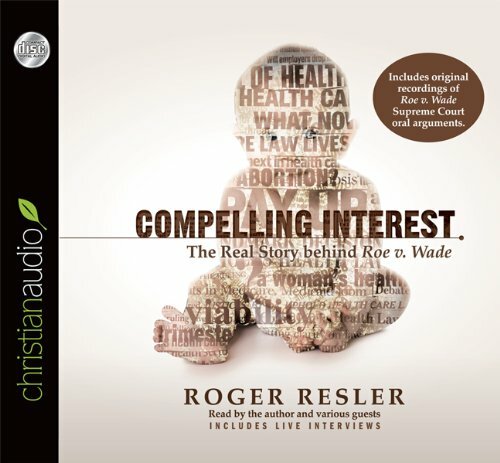 Compelling Interest audiobook offers original transcripts, actual recordings, and fascinating details of the Supreme Court case Roe v. Wade. I have listened to the Compelling Interest audiobook in the past and recently started listening to it again. It truly is well worth your time and since it is free you have nothing to lose. If you don't like receiving the newsletter you can painlessly unsubscribe. I am not receiving any compensation for this post from Christian Audio. I am posting this because I truly believe that knowledge is power and this is an incredible resource. I do receive a small compensation of you buy your product through the affiliate links.